On December 2nd, iPhones running on iOS 12/11 encountered a glitch on their software which cause them to automatically restart themselves. 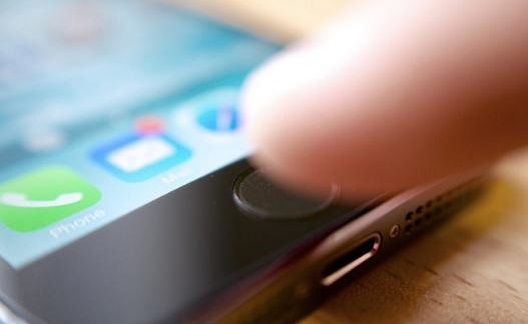 A bug in iOS software meant that phones using third party apps to send recurring notifications, like medical app, reminder from work out plans apps, would cause the phone to reboot over and over again. 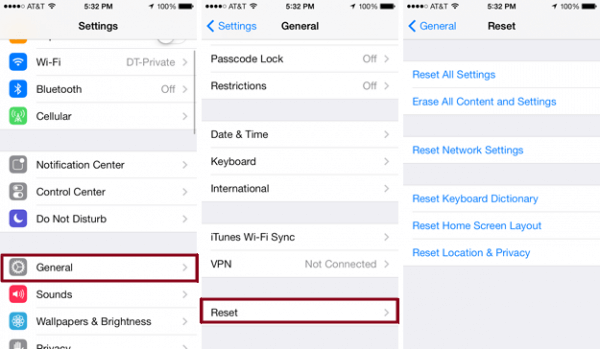 An iPhone or iPad device restart is one of the common iOS problems. You may also experience this problem while charging your iOS device, plugging in a headphone, or when connecting your device to a computer. Below are some of the ways to fix the iPhone iOS 12/11 restart issue. If you are experience any sort of reboot problem with your iOS device, here are some few steps to take in solving the problem. Before you start any of the process, make sure you backup your device. Some of the tips below requires you to erase your iOS device. Backing up your device will save you from loosing any important information. For users experiencing any restarting problem with their iOS device, apple suggested that all affected users should try and update their iPhone or iPad to the latest version of iOS 12. 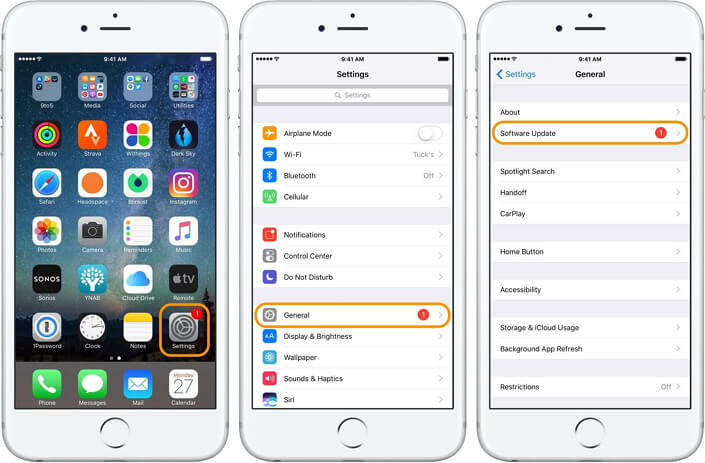 To update your iPhone or iPad to the latest iOS, follow these steps. Go to settings > General > Tap Software Update to check for the update > then install. If you are unable to update your device to iOS 12/11, Apple suggested that you should try turning off your device notification. To do this, click on Settings, then go to Notifications. Switch off all notifications for all apps. After this, you can update your device to iOS 12, then go ahead to switch on your device notification. 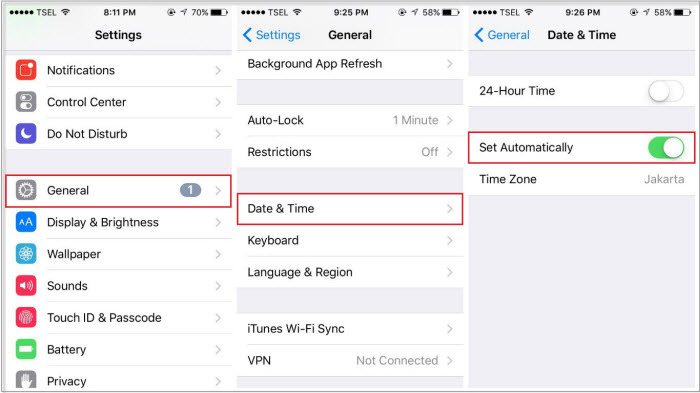 Go to Settings > General > Date & Time > Disable “Set Automatically”. Use the slider to turn the date back to December 1. You should note that some other issues can arise from incorrect date and time. This is one of the easiest way of fixing a rebooting iPhone. To solve the rebooting issues, simply force restart your phone. Simply long-press the Home and Wake button at the same time for at least ten seconds until the Apple logo shows on your screen. Press the Volume down and Wake button at the same time till the Apple logo shows. Press and release the volume up button, then press and release volume down button, keep pressing the Sleep/Wake button until you see the Apple logo. Continuous location tracking can put a lot of pressure on your iOS device. It tends to heat up as a result of this. Use your GPS location smartly and allow other apps to track your device location only when it is highly needed. Turn off background app refresh. Once you are done with the use of an app, force quit it. If after going through all this processes, the problem persists, try resetting your device to its default factory settings. To do this, go to Settings > General > Reset > Reset All Settings. This process will remove all your login details and Wi-Fi passwords. If you have tried all the methods above, and you are still faced with the same problem. 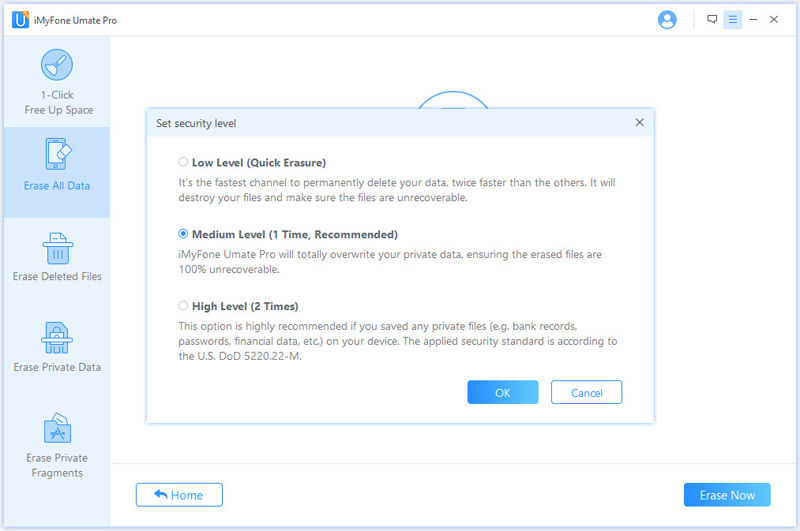 Try and reset your iPhone using iMyFone Umate Pro. The iMyFone Umate Pro, is regarded as the safest iPhone data eraser in the world. 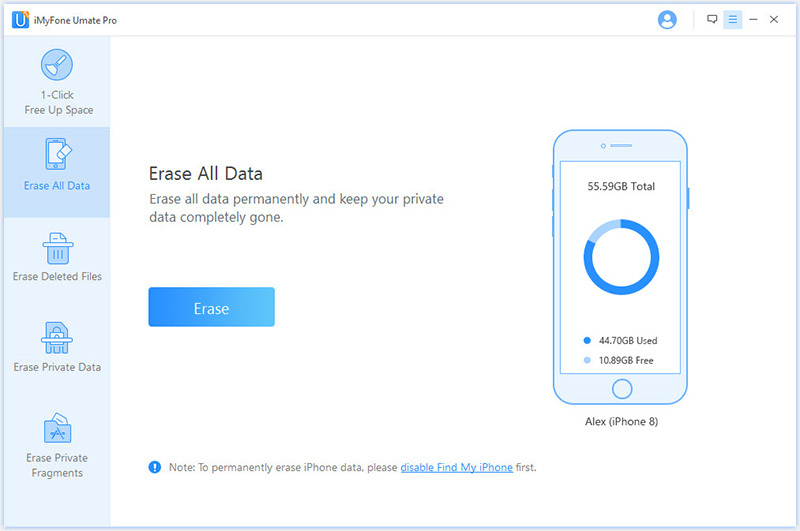 The software allows you to preview and selectively erase all kinds of iOS data on your phone, while protecting your privacy by leaving no possibility of recovery. 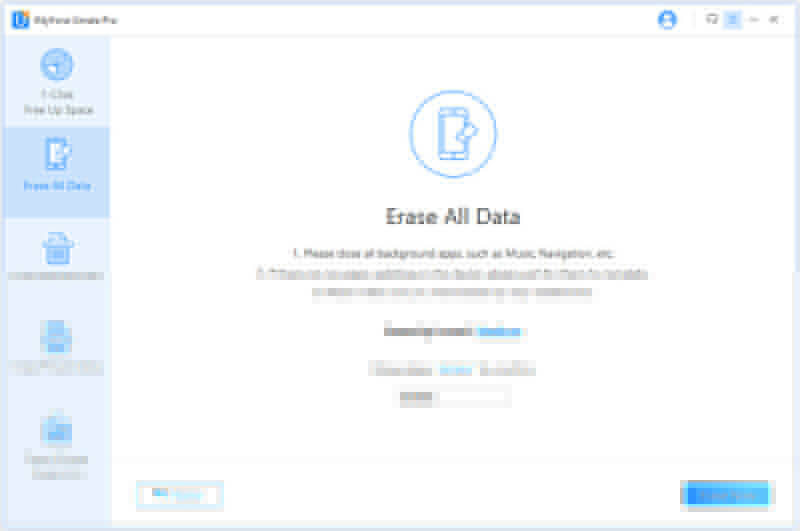 Permanently erase ios data, 100% unrecoverable. Scan Deleted Files, permanently wipe the files that deleted on your device. Delete All Data in iDevice, all data won't be recovered, much safer than a common "factory resetting". Preview and select before erasing, to avoid erroneously erasure. Three Erasing Levels Available, cover all situations you may face. Fully compatible with iOS 12, iPhone X, and iPhone 8/8 Plus. To completely erase your iPhone, you need to follow the steps below. Step 3: Type “delete” into the box provided to confirm. Step 4: Choose one of the 3 erasing options that suits you best. Do not use your device during this process, and keep it connected to your PC. Do not stop the process when the program is erasing data from your device, or when your device is restarting, as this may damage your data or device.